MILAN, Italy – More than 80 years have passed since its foundation. Nevertheless, Gaggia Milano does not have the slightest intention of retiring: in fact, LaReale is going on with its world tour from one exhibition to another and has just made a stop in Australia (between 7th and 9th February 2019). After all, what better opportunity to introduce itself and to show off its strengths other than in the spotlight of the Melbourne International Coffee Expo? Its international attitude. LaReale is the perfect mix of vintage but at the same time modern design – created by Bonetto – that fascinates anybody looking at it. This does not mean that Gaggia Milano has turned its back on its being Italian: in fact, behind the launch of this machine on the global market there is the desire to celebrate the art of making coffee in the Italian way, exactly as Achille Gaggia taught us. Its high performance. Thanks to a hydraulic circuit with independent boilers, LaReale allows maximum steam productivity associated with maximum flexibility in managing the temperature within the brew groups. Its being an avant-garde coffee machine. 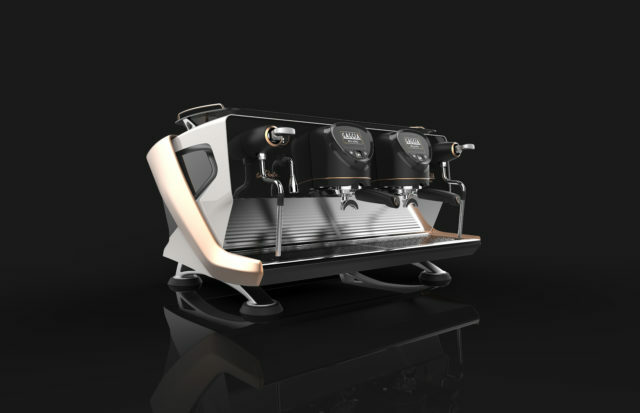 This last but not least important element shows that LaReale is up-to-date in terms of technology: thanks to a 3.5-inch touchscreen for each brew group, which is in turn associated with three buttons, it al-lows the barista to make quick and intuitive selections. Hence, between tradition and modernity, design and high performance, LaReale is wait-ing for you. Will you be present at its next stop?